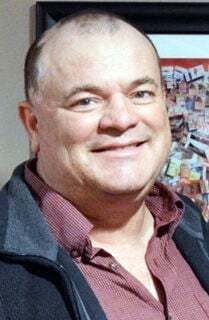 Mark P. Poppe, age 51, of Scribner died Dec. 2, 2018. Survivors: wife, Lisa of Scribner; daughters, Emily Poppe of Fremont and Jamie Poppe of Scribner; father, Dennis Poppe of Scribner; mother-in-law, Mitzi (Glenn) Suhr of New Port Richey, Florida; brother-in-law, Chris (Steph) Giese; and nephew, Easton Giese of Tampa, Florida. Mark was preceded in death by his mother, Norma Poppe in 1997. The funeral is 10:30 a.m. Thursday at Redeemer Lutheran Church in Hooper. Burial in the Scribner Cemetery. Memorials to the Dodge County Fair. Visitation is Wednesday at Ludvigsen’s Scribner Funeral Chapel from 3 p.m. to 8 p.m. with the family present 6 p.m. to 8 p.m.